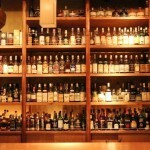 Kyoto has many autumn color spots. 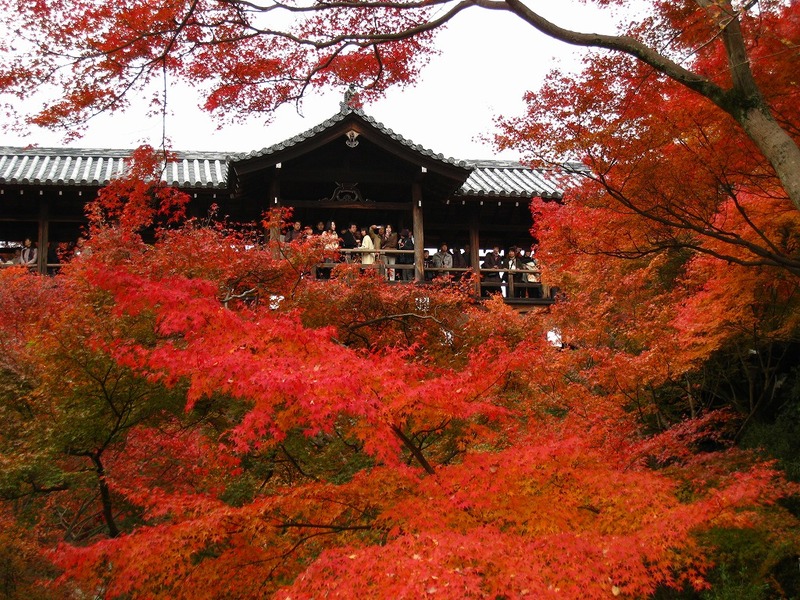 Kinkakuji Temple and Kiyomizudera Temple are popular tourist spots not only in autumn but also in other seasons, so we are going to introduce best 5 autumn leaves spots, excluding Kiyomizudera and Kinkakuji. 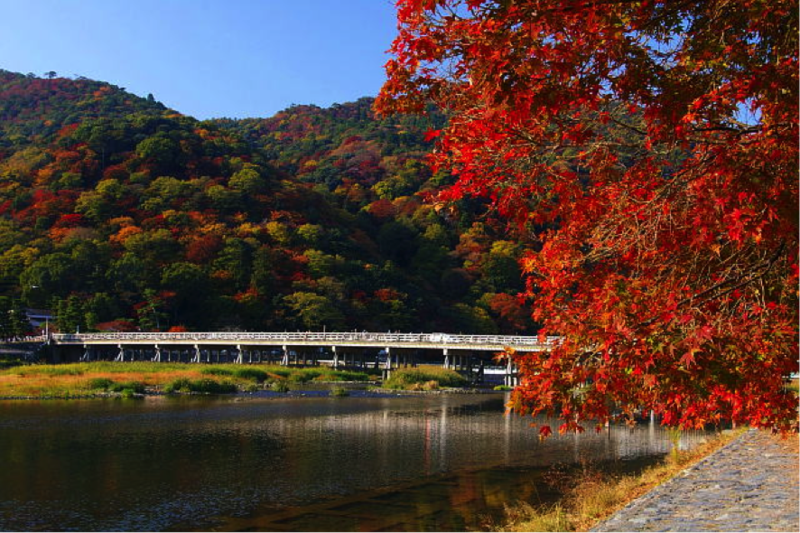 Eikando is very famous for the beautiful autumn leaves. 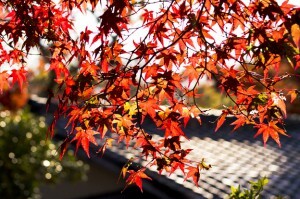 It was named “Eikando of the Autumn Leaves” for the beauty. 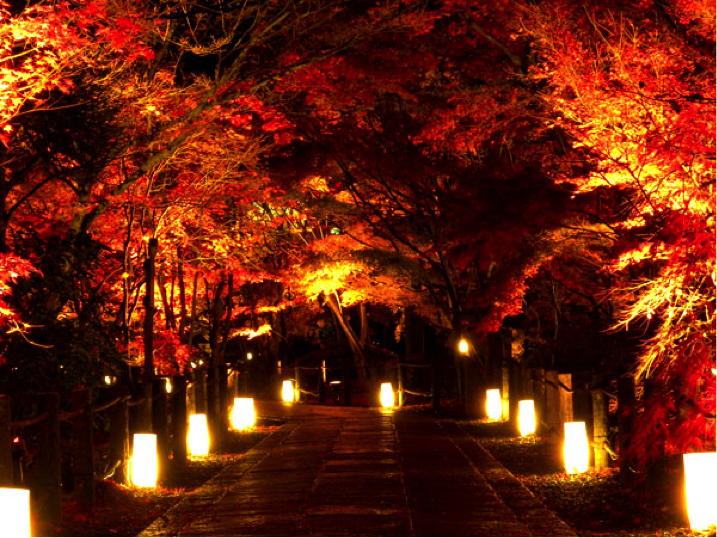 Eikando is illuminated at night and you’ll be amazed at the scenery. 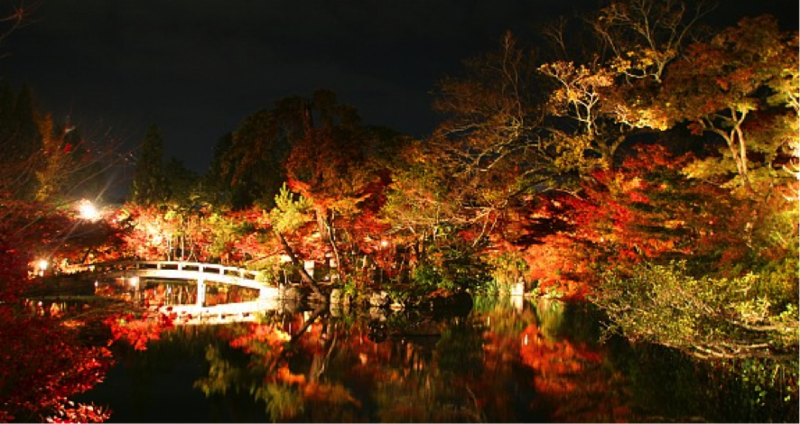 At night, we recommend you to visit the Hojo Pond, attractive spot during the autumn in the Eikando. Operating Hours (Day Time) 9:00 a.m. ~ 4:00 p.m., closed at 5:00 p.m.
Of course, the temple’s main ground is popular autumn color spot but the sub temples, Nanzen-in and Tenju-an are very famous. 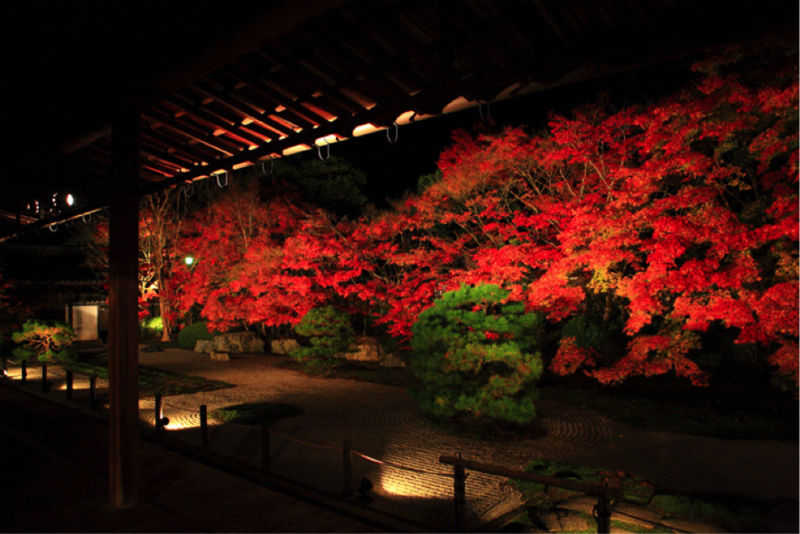 Tenju-an is illuminated at night, so you can enjoy the combination of autumn leaves, Japanese rock garden and illumination. (Day Time) 9:00 a.m. ~ 5:00 p.m. 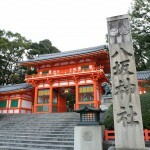 This temple was built the legal wife of Hedeyoshi Toyotomi, a very famous warrior in Japan. Of course, the autumn leaves seen in the day time are beautiful but seen at night are more gorgeous. 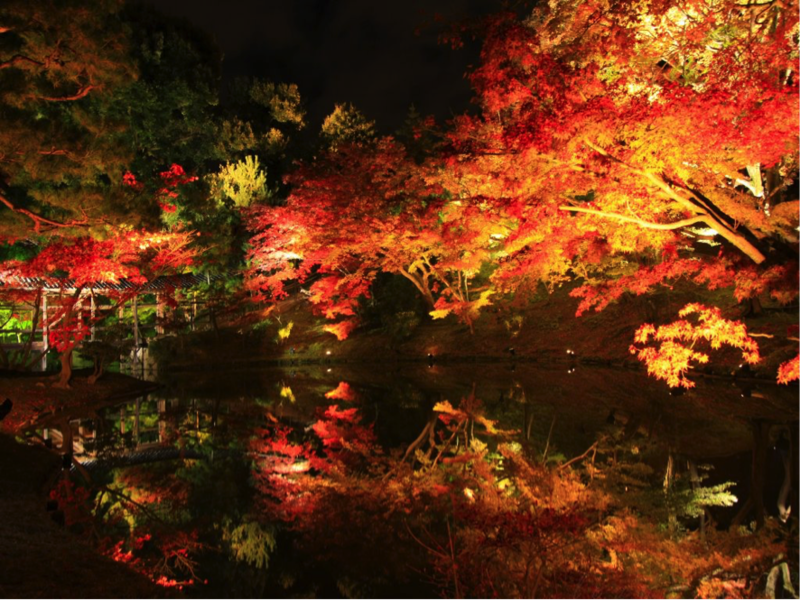 The water reflects the leaves and the beauty of the reflection is breathtaking. Oct. 20 ~ Dec. 10: 9:00 a.m. ~ 9:30 p.m.
Arashiyama is one of the famous tourist spots in Kyoto, like Kiyomizu Temple and Kinkakuji Temple. When the trees turn red, the mountain changes the appearance. 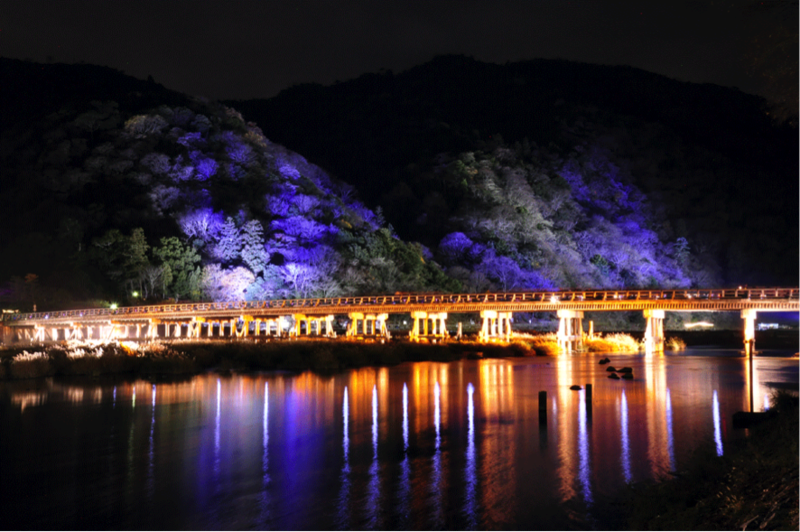 Togetsukyo Bridge, which represents Arashiyama, is illuminated at night during the foliage season. 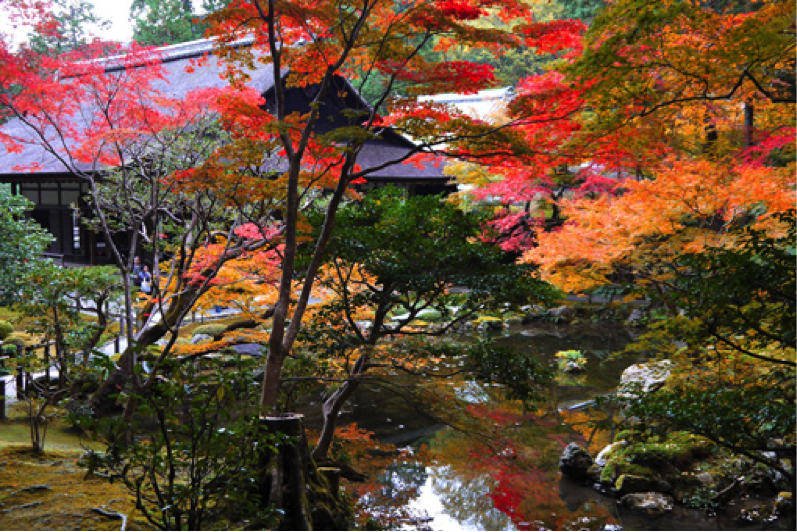 Tofukuji is also very famous for autumn leaves in Kyoto. 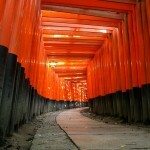 The view from Tsutenkyo Bridge is beautiful and the view of Tsutenkyo is also impressive. The temple gets very crowded in autumn.